NOTE: If you want your copy of Pyramid Arcade to ship within the USA, please visit a local game store near you, or order from the full Looney Labs online store. Orders placed from this page will ship from our UK partner, who is stocking ONLY this one product, to allow us to offer affordable shipping rates for Pyramid Arcade to the rest of the world. 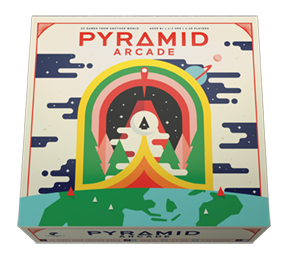 Only $20 shipping to send Pyramid Arcade anywhere in the world!